Today I got a notice from Twitter that I have another follower of my Twitter account. For those of you with a life but without the driving desire to document and share every moment of it, you may not know of Twitter. It's a free service where you can post updates of what you're up to from a computer or mobile phone. You can choose to "follow" other people and get updates of what they're doing. If you need more explanation than that, I suggest you check out their FAQ. In any case, the follower was novickforsenate. The "name" was intriguing enough for me to look into it. 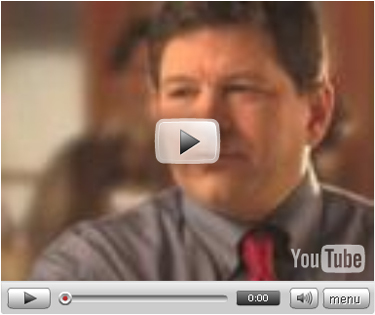 Turns out it's Steve Novick, a democrat running for the U.S. Senate in Oregon. He can post where he's going to be, his response to news stories, or--like in a recent update--a link to his YouTube video, a Beer with Steve. Yes, Twitter, YouTube, Facebook, MySpace, and a blog. This guy hasn't just embraced social media, he's made it his...well, let's not go there. This is, after all, a professional business blog. Will this help him get elected? Time will tell. However, I'm sure he's loving the extra free media coverage he's getting.